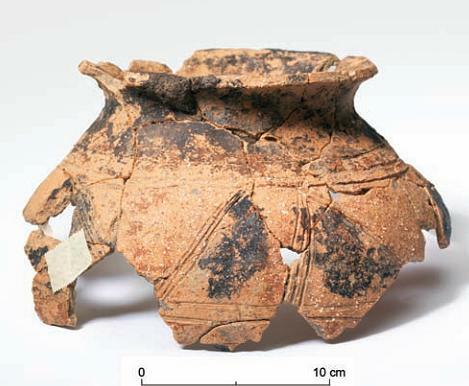 The nature of burial rituals practiced by the Iron Age European population makes the task of archaeologists an especially complex one. In particular, the Celtic burial process, which generally included the deliberate ‘killing’ of the artifacts, i.e. 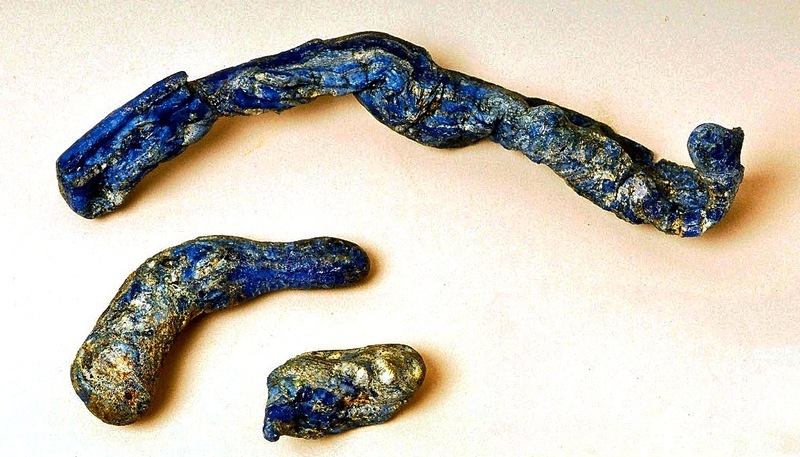 the bending, breaking or otherwise deformation of weapons and other objects before being placed on the funeral pyre, and subsequent cremation of the articles along with the body of the deceased, has meant that material from Celtic burials is often rendered unrecognizable to the naked eye. 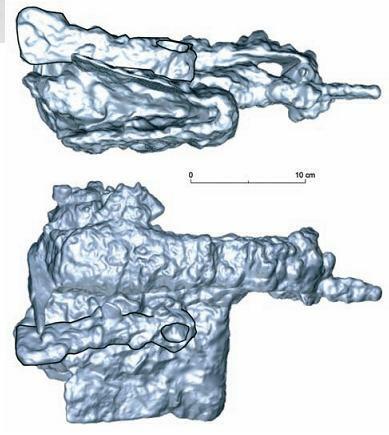 A good example of this phenomenon is the recently published middle La Têne warrior burial (LT C1/C2) from the Auersperg Palace in Ljubljana (Slovenia), which yielded the cremated bones of the individual along with a rich burial inventory. 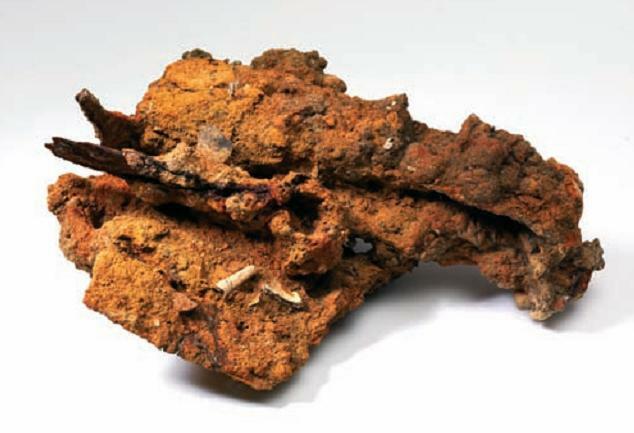 However, while initial excavation of the burial revealed only an unrecognizable melted conglomerate of iron, bone and ceramic material, subsequent analysis showed that the ‘lump’ actually contained, among other objects, a ritually ‘killed’ middle La Tène sword and shield boss, a shaft-hole axe, as well as human and animal bones. 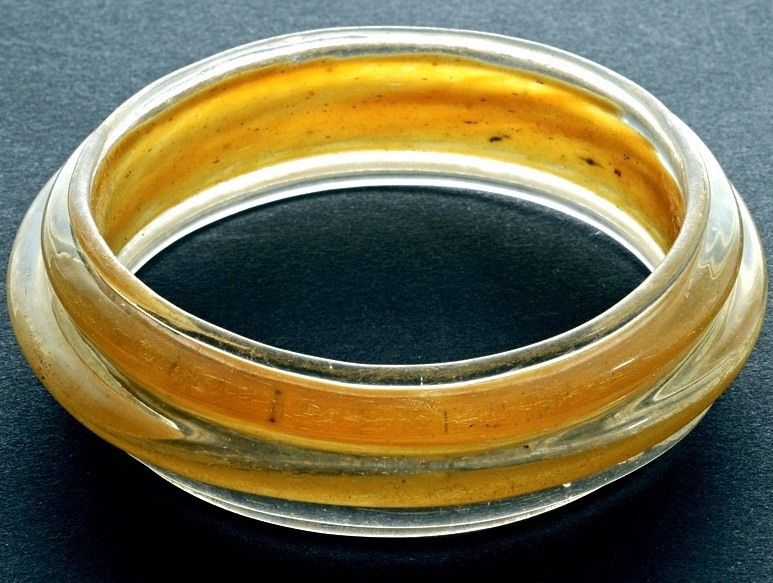 Particularly interesting is the fact that the human bones included a fragment of the cranial part of the skull with an unfused suture, which belonged to a young man – under 20 years of age. Thus, it appears that in death, due to nature of the burial rites observed, and subsequent environmental factors, this ‘boy warrior’ literally fused with his weapons. 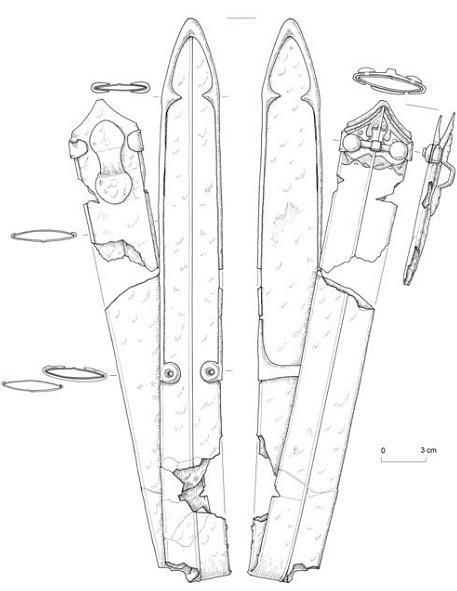 A further fascinating find from the same deposit / layer, but originating from another (slightly earlier) grave unit, is a ritually ‘killed’ scabbard, typical for the Celtic LT C1b phase. The scabbard is decorated with a unique composite motif of a dragon pair and a snake, combined with vegetative ornamentation. A similar combination of ornaments is most often found on scabbards from the southern border area of the Pannonian Plain, which are discovered in burials from the later part of the LT C1 phase. 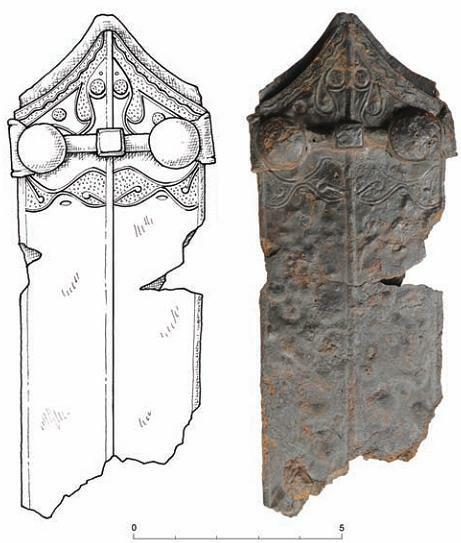 The complexity of the decoration, which is typical for the latest phase of the Celtic ‘dragon pair’ depictions, thus dates the manufacture of the Auersperg Palace scabbard in the late 3rd century BC (Štrajhar, Gaspari, op cit).